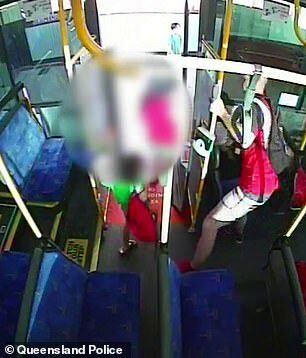 Shocking footage of a man punching a young woman and man on a bus has been released in hopes police will catch the thug who still remains at large. 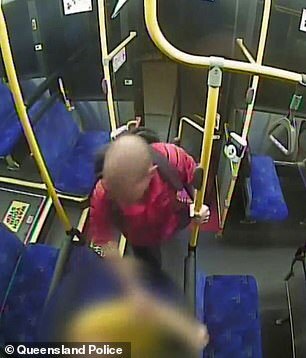 The footage, which was captured by public transport CCTV, shows two separate incidents just days apart showing the man assaulting innocent travelers as their buses moved through Brisbane’s northeast suburbs last month. In a separate incident three days earlier, the man was captured punching a 40-year-old man in the face before fleeing at the Maundrell Terrace stop in Chermside West. The shell-shocked victim was left with facial injuries. Both assaults appear to be unprovoked attacks. 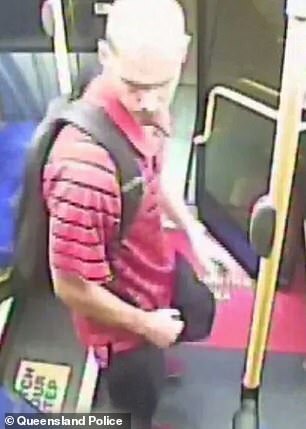 Queensland police are now appealing for anyone who travels around the Albany Creek Rd, Maundrell Tce area in Aspley or Chermside West and South Pine Rd in Everton Park who may have witnessed either incident or recognises the man in the vision to contact police. Police also have urged any pedestrians or motorists who captured the incident on their mobile or through dashcam vision to also contact Crime Stoppers. 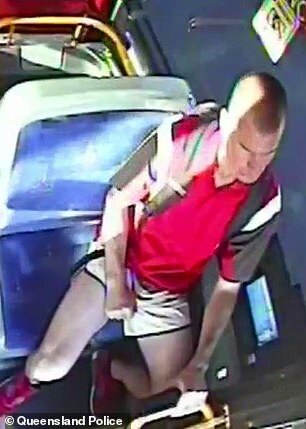 The man appears to be Caucasian with a shaved head and was wearing a red polo shirt on both of the incidents.